Easy to describe, difficult to execute. 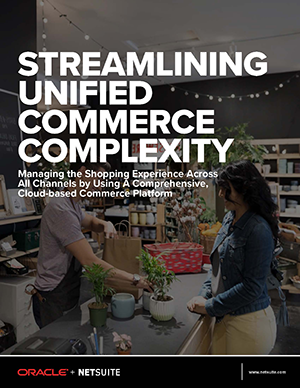 Achieving a unified commerce platform requires a fundamental shift away from inward-looking systems and focuses instead, omnichannel commerce requires retailers to be outward looking, to focus on customer needs, wants and behaviors. Explore how consolidating multiple systems through a cloud-based commerce platform provides a seamless experience for both you, and your customer.